9pm / $6 cover / 21+ / Someday Lounge / 125 NW 5th Ave.
Jeffrey Sfire's introduction to the underground dance scene and illegal warehouse parties of Detroit occurred at the age of 15. This escape from suburban high society led him to some of the city's most talented DJs and musicians, who soon exposed him to a new culture of creative riches. Learning by example, Sfire's taste and skills as a DJ developed naturally and he soon began playing out at parties, clubs and sleazy gay afterhours, usually entering covertly through back doors or with a fake ID. At the age of 18, a move to Chicago exposed Sfire to a whole other side of dance music history, including the Italo Disco and High Energy sounds of the 1980s. He spent afternoons digging through record store crates, meeting retired DJs and developing his musical palette. Having held numerous club residencies, he regularly plays in LA, Detroit, Chicago, and New York, consistently offering a finely-tuned selection of Italo Disco, 80's High Energy, New Disco and Electro. The prolific producer, label owner, and world-class dance floor wrecking DJ. Is bringing the dance floor heat to the Cascadian territories for one night. 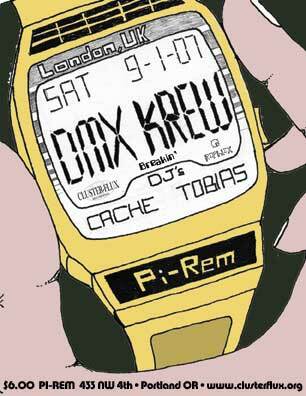 DMX Krew's style of heavy bass & breakbeat-ridden electro is a classic London sound, and a special treat to Portland. DMX Krew's discography reads like a who's who of influential electro record labels. Breakin Records, Ghostly International, Disko B, Gigolo, and of course Aphex Twin's own Rephlex Records. Latest Mixes (electro, soul, funk, disco, breakbeat, booty) Oh my! The return of the Creme Organization to the Cascadian Territories. 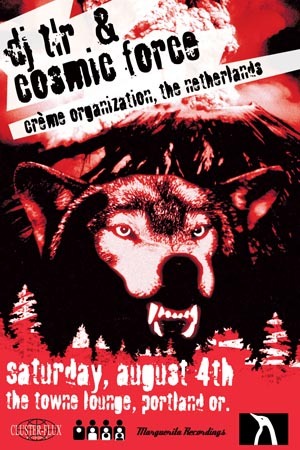 Creme Organization has been bringing you all things Dutch-Electro/Disco since it's inception in 2001. Housing such well known artists as Legowelt, Bangkok Impact, Orgue Electronique, and Alexander Robotnick. If you are an electro/disco/italo lover, you must join us for this rare occasion. Founder of Creme Organization. DJ TLR has done his part in the new era of electro music. Spreading the Dutch-Electro style like a virus throughout the world. DJing phenomenal shows from Japan to Madrid and Detroit's Fuse-In festival. Founder of Marguerita Records and a regular on the infamous Clone record label. Cosmic Force has been branding the electro landscape with his unique style for over 10 years. He will be treating us to a Live PA set that is sure to be dirty, raw, and uncompromising. A recent transplant to the city of roses from San Francisco. 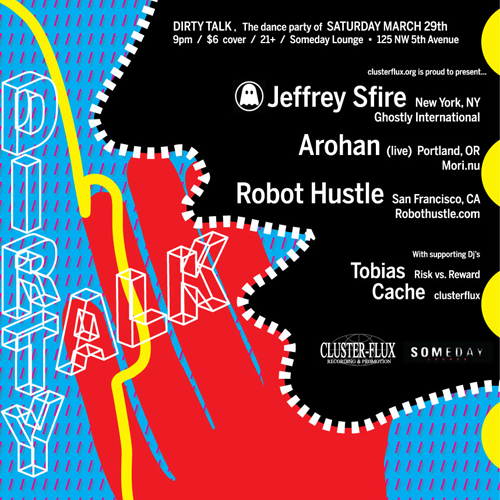 Audio Electronic has a long track record of live pa gigs and DJing club nights, proving he is soon to be Portland dance floor mogul. Tonight he will be cutting his teeth into a special live PA electro set. Contact artists direct for bookings.